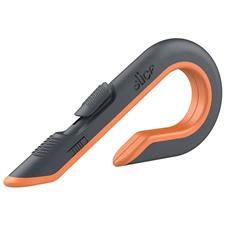 The Slice box cutter revolutionized safety with its ceramic safety blade and unique handle. 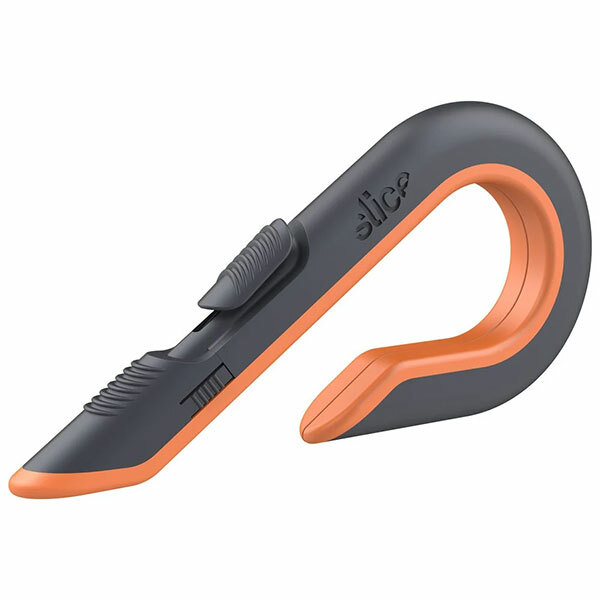 The Slice 10400 safety box cutter's ergo handle wraps around your hand, protecting you from staples while providing the perfect angle to expose only as much blade as you need. Used by more than half the Fortune 1000, our patented ceramic safety blade lasts up to ten times longer than steel and doesn't require a sharps disposal box.